This was my first flight over Antarctica, and the vast expanse of ice – just white on the ground and blue in the sky as far as the eye can see – took my breath away. As Operation IceBridge flew directly over the South Pole, my eyes went to the updating flight map. We were already off the edge of the map, as our survey line along 88 degrees south latitude had dropped below the extent of the Mercator projection. And now, as the latitude indicator counted up to 90 degrees and the crew counted down the seconds, I watched as our flight path showed the plane completely reversing course midair and looping up north. Of course, (and fortunately for my stomach) our actual DC-8 aircraft kept in a straight line. Navigating can be tricky at the end of the world. 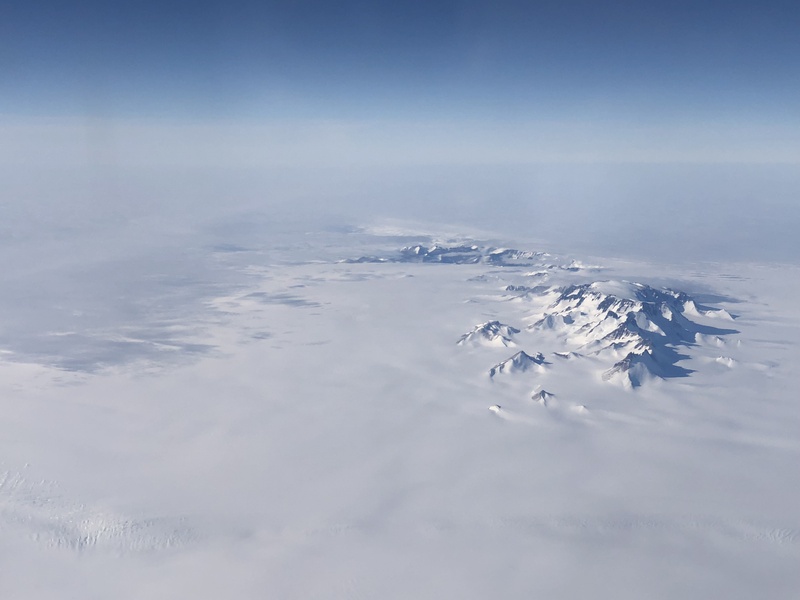 While the mapping software went out of whack crossing over the pole, the actual flight software didn’t miss a beat – IceBridge Mission Scientist John Sonntag programmed it that way, knowing the ice-monitoring flights would need to handle the situation. 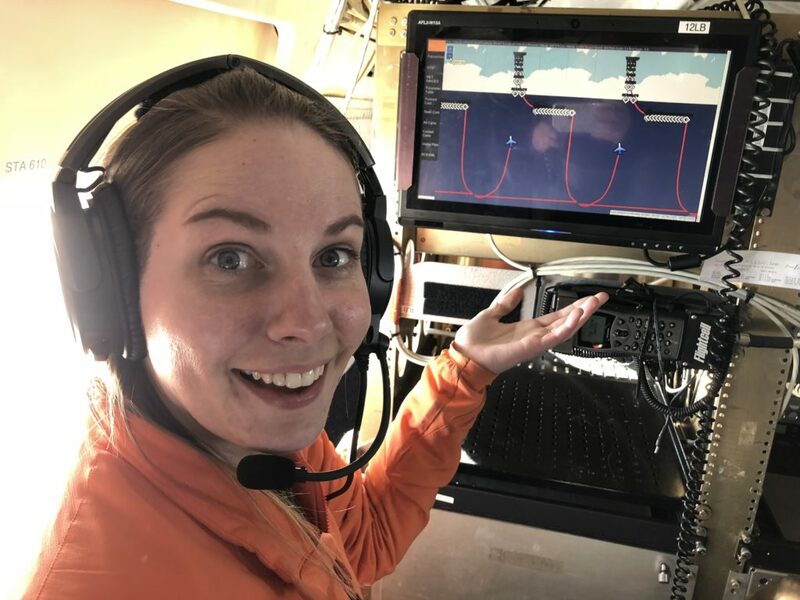 And although Halloween was last week, Saturday’s flight called for another trick – fooling the plane into flying a smooth arc around the 88 south line of latitude. He developed this system to deal with a quirk of flying at such a high latitude. If a plane is flying at the equator and wanted to go east, it would just go straight. But to go due east along the 88 south latitude line, the plane has to actually turn to the right a bit. If we wanted to circle the pole at 89 degrees latitude, we’d have to turn right even more. Typical navigation procedures involve flying the shortest path between two points (known as a “great circle” path), where the aircraft’s heading varies continually to keep it on the flight path. But this far south, that would create a scalloped flight path: not efficient for the plane nor optimal for the instruments onboard, and – again – not friendly to my stomach. So Sonntag designed an autopilot system that can fly a perfect, smooth arc around the pole, along a mathematical concept called a loxodrome. It was nerd heaven for me as well, but for different reasons. This was my first flight over Antarctica, and the vast expanse of ice – just white on the ground and blue in the sky as far as the eye can see – took my breath away. This particular survey route isn’t a favorite with the regular crew. There’s none of the dramatic mountains of the coastal glaciers, or icebergs calving into sea ice. But I loved seeing the repeating kaleidoscope patterns of the ice dunes called sastrugi (a favorite word AND a favorite ice formation, all in one!). 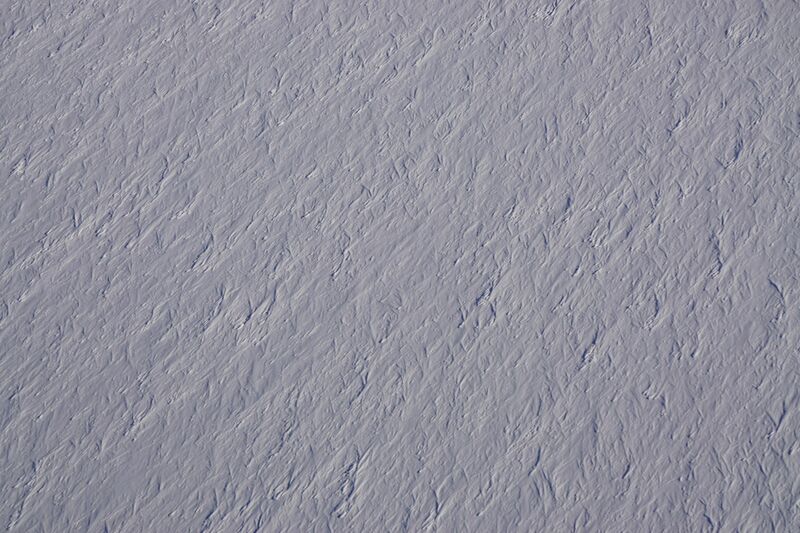 From 1,500 feet up, it’s almost impossible to gauge how high they are, but it’s an incredible texture in this bleak, bright expanse of ice. And this was a key flight for another reason: I’ve been writing for the ICESat-2 mission for more than five years, and in September I watched as it launched into orbit. 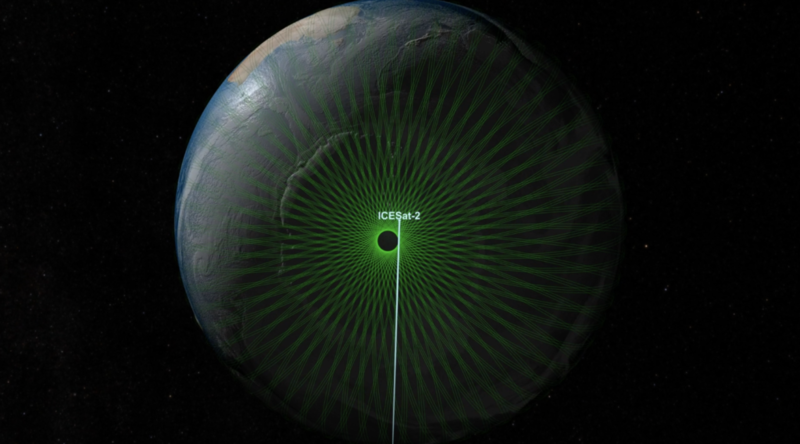 ICESat-2 uses a laser instrument to measure the height and focuses on the polar regions. All of its orbits cross the globe at – you guessed it – 88 south latitude. So by flying this route a third of the way around the 88 south latitude circle, IceBridge is taking measurements that will help check a third of ICESat-2’s orbits. That means the satellite instrument I saw years ago when it was just an empty box in a cleanroom flew over that stretch of ice we measured 16 times, taking 60,000 height measurements each second. 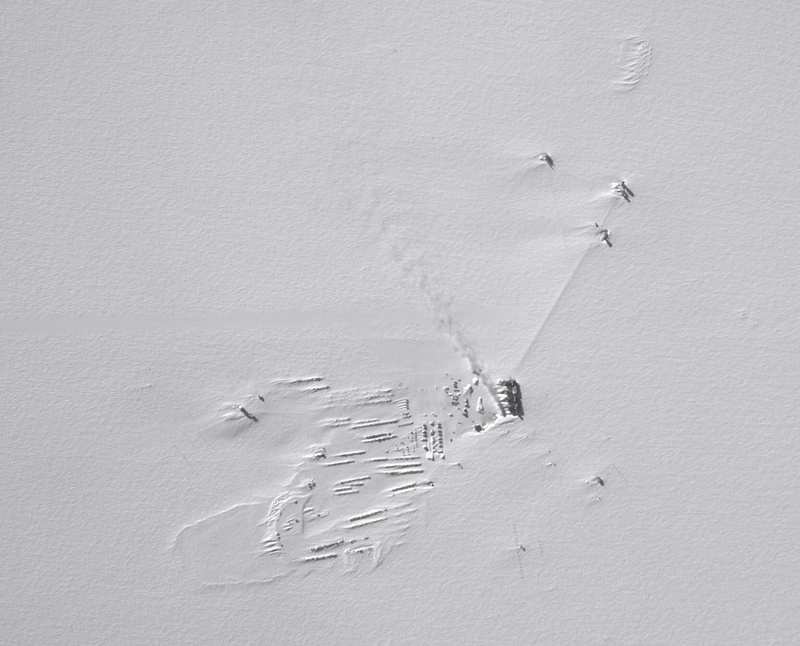 From 300 miles up, it measured the height of my new favorite sastrugi. Next Next post: Send Me a Postcard From Station P, Will You?